LED lights - for lighting and for growing your own food. Self Sufficiency with low powered / low voltage lighting! LED grow lights - this lense is going to be based around LED grow lights, part of a series of squidoo lenses about this old, yet fascinatingly new technology which is lighting up the world. 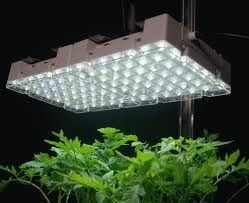 In particular LED grow lighting is the use of LEDs in the right ratio combination of colors or 'wave lengths' which allows plants to thrive under its lights. The biggest benefit to agriculture is these devices use much less power than their incandescent cousins but also they produce alot less heat than HPS (high pressure sodium) systems, resulting in less watering since the rate of water evaporation is considerably less thanks to no extra heat being generated and requires 70-80% less energy than using a High Pressure Sodium lamp or its equivalents in hydroponics agriculture. For flower competitions or providing the right lighting for your shop, these lights can make a difference as well - read on for some information about LEDs lighting technology and where LED grow lights can make a real impact. These are the grow lights available for delivery on Amazon - Remember to buy quality lights, we have tried 3w LED based lights for the best results but the 1watt ultra bright LEDS systems can still be used. Hydrostar and Black Star are premium brands - check out Amazon and shop with due diligence! Click on one of these links and have a good look around for some cheap LED grow lights on ebay! Just remember, cheaper is not always better however you can be sure there are some great offers on ebay for the best led grow lights, just remember to look for 3watt led grow lights since these seem to perform without much complaints from anyone - happy ebay shopping! So what about LED Grow lights? LED Grow lights can be made to specifically illuminate plants with the right wave length of light, what we take for granted by labelling stuff 'RED, BLOO, GWEEN, YELOOO etc has been taken quite out of context and has caused some confusion since everyone assumed that to grow plants you needed sun, rain and abit of dirt - it has stuck in our minds that is what comprises the 'correct' factors in an environment to grow plants or food. However THAT IS NOT TRUE. Infact its not 'sun' and its not dirt - what you need is RED light within the 630nm (nanometers) range for when the food plant needs to flower and Blue light within the 430nm range which is used during a plants vegetative phase. By using the correct wave lengths of light, you can save energy by using only 3watt LEDS (ok some systems are rated at 120 watts whilst others can go up to 500 or more!) also this would mean less water is used for agriculture, saving the environment and saving money on electricity has been made very easy thanks to LED lighting and this is just the start - vertical farming has taken off thanks to LED growlights and remains as a viable way to feed us aswell as light our homes. 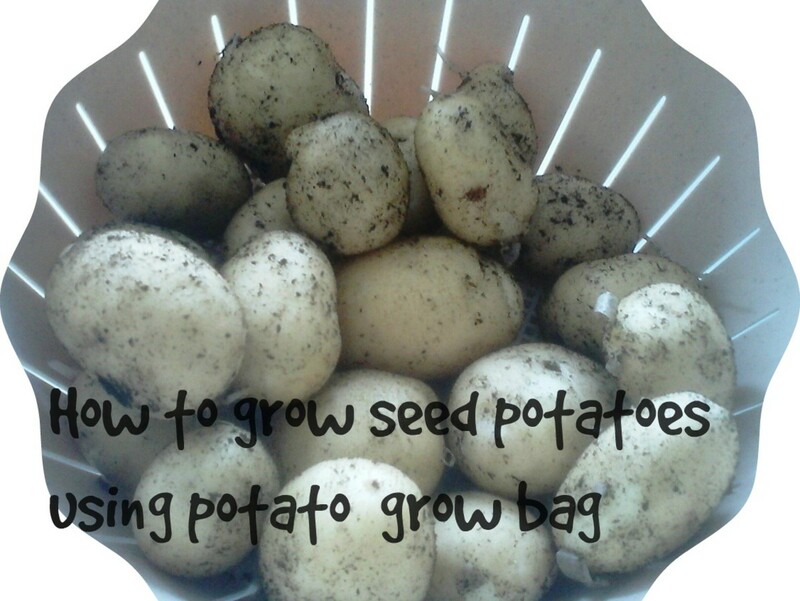 Create the necessary 'food' for your plants by utilising the very same food recycling methods via bokashi bins or using a natural method for creating your own nutrient feed for your food plants. I will also be writing about using a special formula which can be used but this will be on another lense - check out my other lenses for more information! LED grow lights can operate from 25watt lights to targetted light ratios for certain effects, some LED grow lights come in 8 band waves whilst other vary for their purpose - At this moment in time there are 120 watt systems which can replace 400 watt conventional HPS systems, making a saving not only in electrical costs but these LED lights have no dangerous mercury involved in the construction process and they last for 10,000 hrs or more. These make them the natural evolution from our wasteful use of electricity to a much more sustainable way of life - the incandescent bulb has been surpassed, it is only for humanity to start using this wonderful techonolgy to make our lives brighter and better! Ok its not radical, its not even awesome - it just so happens that besides growing agricultural crops for animal or human consumption (which would be a huge benefit to the 3rd world in terms of cost and power usage), why not use this technology to grow trees or use mobile versions to help with reforestation or even use them with solar power to help with the growth of plants for food and trees. What if we could produce food in a controlled environment using LEDs so that famines would become things of legend, where no one has to go hungry any more? Ok be real - this is going on right now and I'd be telling a bad joke if i sold this spiel as some sort of visionary idea, as i said this idea is not even awesome, this idea is so within reach of most countries and because food security is always affecting every food commodity on the planet since we dont actually coordinate our consumption - ie: in America, there is such thing as obesity yet other countries have people who exist on less than $2 a day. You can guess who will be more interested in this new way of lighting and what it could mean for not just poor countries, but industrialised nations adopting LED lighting, not just LED grow lights but all LED applied across our cities could reduce the overall power consumption alone, allowing us time to throw off the oily shackles of the 2nd industrial revolution - our lives depend on oil whether we like it or not, whilst the option of harnessing the power of the sun or developing alternative energy sources within a decentralised capacity needs to happen very soon. Why do we need to develop a new power grid soon? At this current moment in time, we or at least i should say 'most of us' since some people have sucessfully moved 'off-grid' and generate their own electricity - We use a centralised power grid and if you've not noticed, should some catastrophic failure occur at any time, you are usually left in the dark. Literally. Until someone fixes this, well how about a power network which could heal itself? Self healing networks is a novel new idea, whilst the USA is looking towards a centralised power delivery method, Europe is moving towards a decentralised grid which would allow the use of Solar, wind and geothermal along with other novel energy harvesting methods to generate electricity. And I havent even got to the cars yet.... :) The biggest battery network delivering power to everyone - yes look outside, you see cars parked up? If you dont then godbless you for living in such a not so polluted part of the planet :) for those of use who see cars everyday, what dawns on you is OMG THE AMOUNT OF TIME THEY ARE PARKED?! Yes... sometimes even a parked car can be of use :) but more on that when I get time to write about the third industrial revolution! If you can use the car batteries as a storage format for the entire grid, you could effectively have all cars being patr of your energy infra structure! Jeremy Rifkin has a great view on our energy dependency on oil and where we are going with the smart grid - a fascinating read with a clear idea on what is about to come around the corner of civilisation. High Yield - LED Grow Lights - Free Shipping - 90 Day Risk Free Trails -Leading LED Grow Lights & Grow Tents with the Lowest Prices on the Internet! I've never read the walden story or participated in such a project. But I would think the prerequisite technologies to establish such a project is here. Great idea. Anyone see this used in greenhouse environment ? Will check myself and report back later. Congrads on your Squidoo trophy. Conversations helps with new ideas. Thanks.